I’ve seen some variation of the reaction to a celebrity death with “This is a horrible month/year/decade” probably 50 times in the last week. Buckle up, butter cups. This is barely the beginning, and expect this to accelerate dramatically for the next 20 to 30 years. 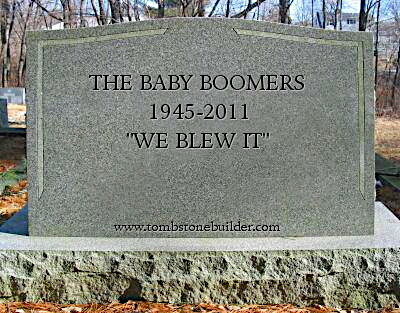 The first wave of Baby Boomers are hitting 70. The death rate of celebrities and non-celebrities alike will accelerate as the bubble of people of dying age gets larger. All those musicians and actors you paid attention to between 1960 and 2000 are old, and all of them will die sooner or later. Welcome to sooner. This is the new normal. PS – I still have yet to score a point in the Mad at Dad Musician Deathpool.